Let's be honest. We're wasting our time. How many times do you catch yourself mindlessly scrolling through Instagram? How many times do you lock yourself away to "write," only to spend hours checking your email or reading Buzzfeed articles or you name it. Guess what, friends? There's hope for all of us. 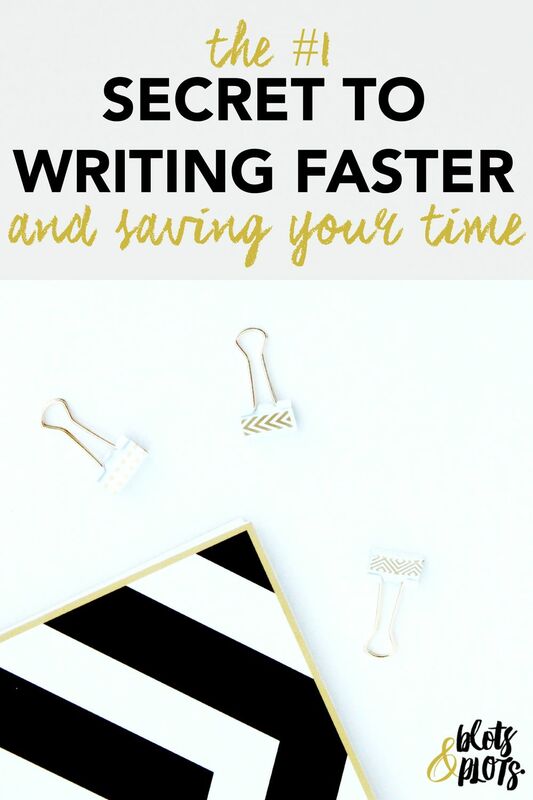 With one simple strategy, you can up your writing game and save time while you're at it! Curious yet? Let's get the party started. When I began writing my novel, These Are the Moments, I found myself getting distracted really easily. I'd check my phone or click over to Pinterest, and before I knew it, there went thirty minutes of precious writing time. I knew that if I planned to complete my novel in the next century, I needed a game plan. First, I eliminated my distractions by writing on paper. Still, I found myself reaching for the phone. That's when I started to pay attention. Whenever I felt stuck or bored in a scene, I would avoid writing by hopping onto my phone or social media. Instead of writing my way around the problem, I avoided it completely. Truth Talk: Take a moment to really think about your writing habits. Do you evade or attack? Leave your answers in the comments below. Through Twitter, I discovered a writing strategy that saved my career and my time, and today, I'm here to share it with you. It's called a word sprint. Also known as a word war or a write sprint. The idea behind this concept is that you write as much as you can without stopping for a set amount of time. What's so special about this technique? This technique teaches you how to crush your inner editor. Because you are aiming for a high word count, you are able to write freely without pause and keeps you from hitting the delete key. Also, it's a race against the clock, so you're tricking yourself into writing faster. Practice Time: Let's start with a quick, five minute sprint. Set your timer, have a scene in mind, and write, write, write! By now, you probably realize that you're on the Jenny Bravo Books blog. If you're new here, hello and welcome! If you're a regular, I'm thrilled and I think you're pretty. This blog is for you, my friends. If you ever have a blog post suggestion or a question, I'm just a hop, skip and an email away. Here's why you should join our community. We like confetti, first of all, because we are party people. Also, we hang out on Twitter. But mainly? We support each other. Discussion Time: What's your biggest time waster? What's your secret to writing faster?